Elbit Systems of America’s JEDEYE solution provides AH-64 Apache and other rotor-wing operators with an ultra-wide field-of-view and ultra-high resolution symbology, increasing situational awareness in all types of conditions. 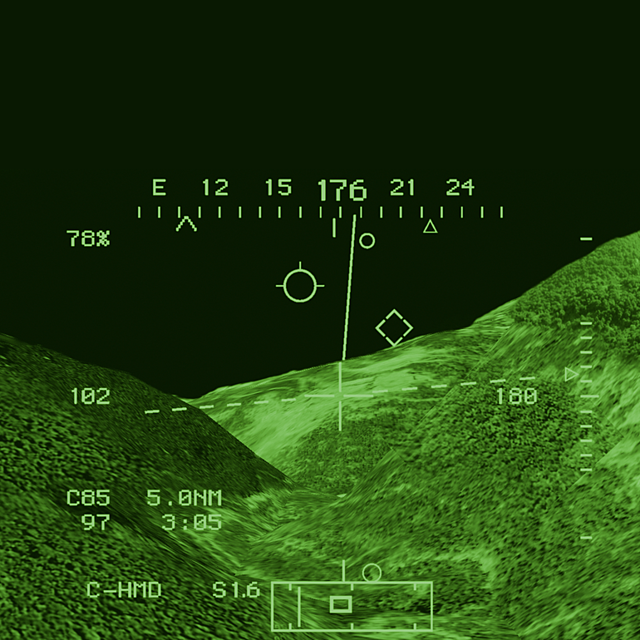 JEDEYE's wide viewing angles improves flight obstacle recognition and mitigates risk. With near-normal field of view and sharp imagery, the JEDEYE system reduces vertigo and other visual illusions. Each JEDEYE helmet mounted display system is fully compatible with the AH-64 Apache Mission Processor, MTDAS, and Integrated Helmet & Display Sight System.